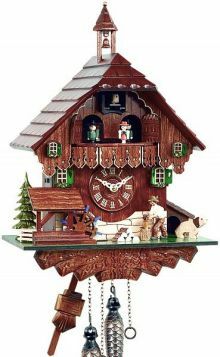 29cm Black Forest house with bell tower. 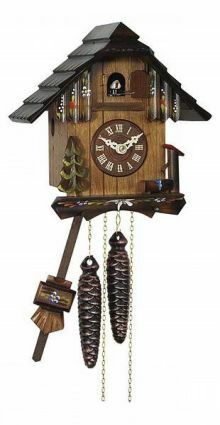 Also available battery operated. 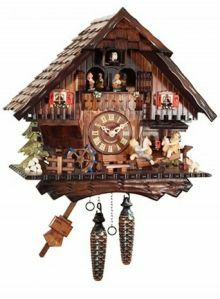 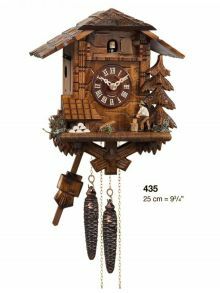 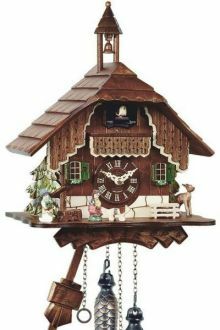 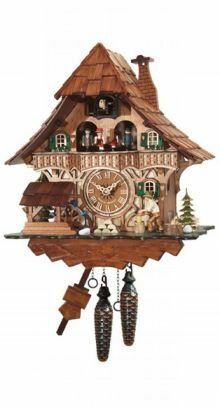 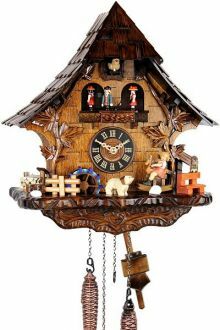 One Day Cuckoo Clock with melody and moving wood chopper. 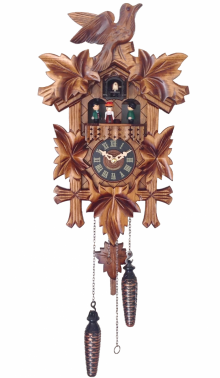 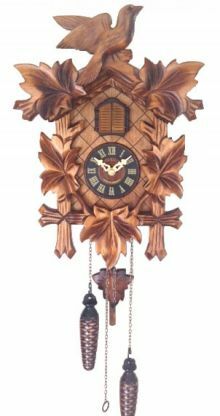 30cm carved five leaves and deer head cuckoo clock with light sensing diode for silent operation when dark.